It only took five years but Farmery Brewery is FINALLY up and running in Neepawa, making it the very first brewery to open up in Western Manitoba since Empire Brewing was in Brandon back in the 1930s. 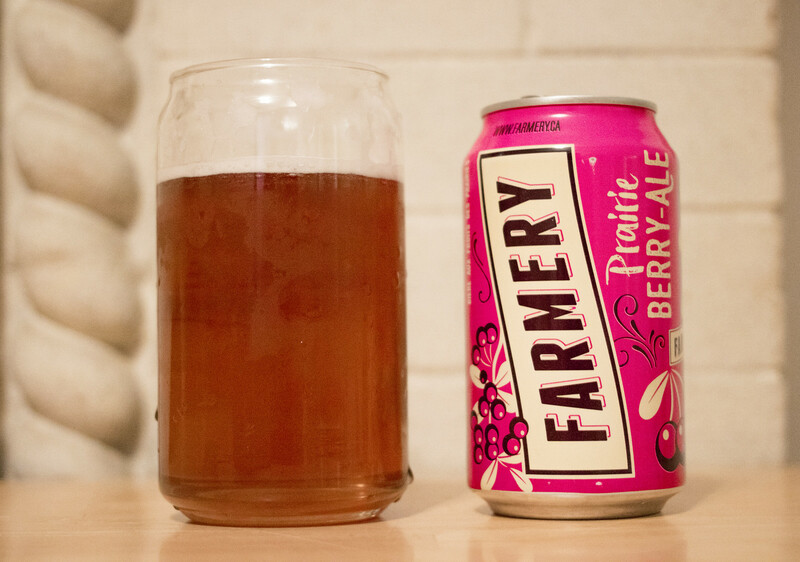 I've been waiting patiently for a very very long time to finally review a beer brewed and bottled IN Western Manitoba..
Farmery's very first new product to come out of the Neepawa facility is their Prairie Berry Ale, a fruit flavoured session ale that tops out at 4% ABV. The ingredients list states it contains beer, sugar, natural flavour and colour. The ingredients list reminds me of a malt based cooler but hey, let's check it out! Appearance: I take horrible photos at night so the photo doesn't really show off the colour of the beer well. It pours a very clear pinkish raspberry with a very good amount of carbonation - so at the beginning it gives off a good frothy white head and quickly diminishes. Good amount of micro-carbonation in the beer itself. It reminds me of a raspberry ale. Aroma: I'm not too sure what fruits are being used in their Prairie Berry Ale as it's very very sweet. I notice notes of mostly raspberry, possibly a hint of strawberry and a fruit note I can't put my nose on.. something a bit heavier. The ale is moderately tart and gives off a light grainy aroma and a subtle lemongrassy hop note to it. Very sweet. Taste: The ale starts off a tad grainy and malty followed by the tartness of the fruit combination. The fruitiness is mostly raspberry. Light biscuit notes, grassy hops and not AS sweet as the aroma would lead you to believe. Incredibly easy to drink but only something you can only drink one or two of because the sugariness upsets my stomach after a couple. Overall Thoughts: When I tried this in a can last night, I swore that this was just a raspberry beer-based cooler but when I poured it in a glass tonight it gives off more of the malt and light grassy hops and less of the sweetness. Frankly, it's way too late in the year for a beer like this - this should have came out in May or June when people are absolutely craving fruity easy-to-drink beers like this.. it should be a darker ale, but this beer will hit two demographics - the cooler drinker market as this beer could pass off as a fruity cooler quite easily and the fruit flavoured beer market (radlers, malt based iced tea, etc). 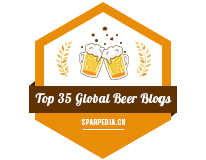 It's light, fruity with a mostly raspberry forwardness, a bit tart and very easy to drink. I hope they're going to start on something heavier soon because winter is coming! 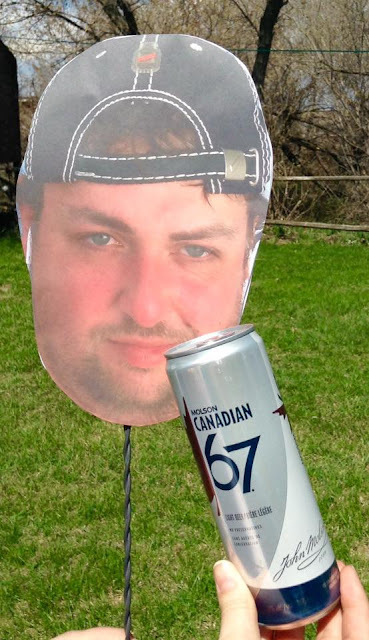 PS - According to Farmery - the fruits used for the Prairie Berry Ale are Sour Cherry, Raspberry and Saskatoon. I actually do recall a bit of a cherry flavour when drinking from the can - how you drink your beer does make a difference.